Can Anybody Beat van Gerwen in the Premier League Darts 2019? 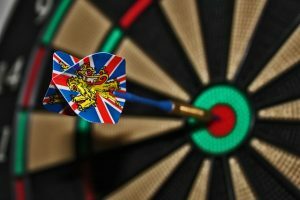 There have been just five players to have ever won the Premier League Darts tournament, the PDC”s flagship spring event which is played over a period of weeks at a variety of venues across the United Kingdom, Ireland and the rest of Europe. Phil Taylor tops the list with six wins, Gary Anderson has two, while Raymond van Barneveld and James Wade have one win apiece. However, since 2013, one man has dominated this tournament. Michael van Gerwen won his first Premier League Darts tournament that year and then was a beaten finalist in 2014 and 2015, before winning the title back again in 2016. He has since held on to that title winning in 2017 in a dramatic final with Peter Wright before claiming his fourth crown with a win over Michael Smith in 2018. 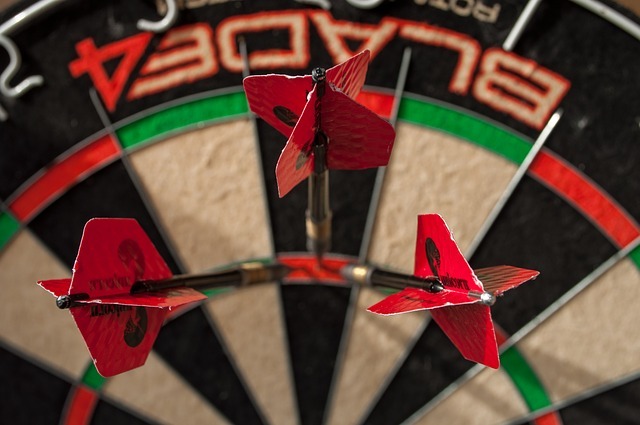 If you fancy a flutter on any of the tips outlined below for the Premier League Darts 2019, then remember to make your bet at bet365 Sport. New customers signing up with the bet365 New Player Bonus can earn up to £100 in bet credits once they are betting on the site and with a great number of darts markets available, including In Play betting and an outstanding Live Streaming service, you will find all you need to enjoy betting long into the future at bet365. So is there anybody in the current crop of nine stars taking part in this year’s Premier League tournament who could conceivably end van Gerwen’s dominance? 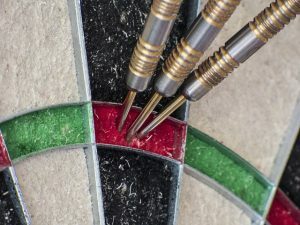 Before the Premier League started, the number of entrants in the tournament dropped from 10 to 9 after Gary Anderson was forced to withdraw due to a back issue. 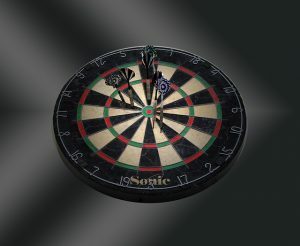 Instead of replacing Anderson with a single player, the PDC decided to invite one player per week to participate as a guest. The guest player would not be in the Premier League but would play one of the Premier League stars in that week, pocketing £5,000 for the win or £2,500 if they earn a draw. Nine players were lined up to participate in Phase 1 of the tournament and included the likes of Chris Dobey, Nathan Aspinall, Glen Durrant, Jeffrey De Zwaan and Dmitri Van den Bergh. There are three dates left in the first phase, they are this week’s games in Berlin followed by a double-header of matches in Rotterdam at the Ahoy, which will be Week 8A and Week 8B games. Of the nine players competing this year, only Raymond van Barneveld has not yet won a game and it seems likely that Barney could be the player to drop out of the tournament after Phase 1. However, the remaining seven players along with van Gerwen are all relatively close together, so what are the chances of each player of dethroning the Dutch darting genius? The odds shown below are the odds on each player to win the tournament. Former World Champion Rob Cross is starting to find his best form after a mixed time of it since he won the World Championship at the start of 2018. The Hastings-based player has produced some fine performances in this tournament so far and deserves his place as the second favourite. In terms of sheer talent, Cross is probably the one player who could match van Gerwen at his best. The talented Scotsman has an enviable record against Michael van Gerwen in this event over the last couple of years but his form has not been as consistent in recent months as he would have liked. Famous for his flamboyant hairstyle and attire, the softly-spoken Scot certainly can beat van Gerwen but he will need to be at the very top of his game to do so. After not being selected to play in the 2018 event, James Wade returned in 2019 following a fine set of performances in recent events, which saw him recapture some of the form that made him a winner of this event several years ago. In terms of form and belief, Wade is up there with the best of them and I feel he could be the dark horse in this tournament this year. The stocky Welshman may upset a few with his antics at the board at times, but he is unapologetic about how he plays and it is fair to say, it certainly seems to be motivating him. After a poor showing in his first year of this event last year, he has bounced back this with some fine displays although he needs to start turning some of those draws into wins. Last year’s beaten finalist has not enjoyed as good a year in the Premier League this time around, but Smith has the quality to put together a run of back to back wins which will bring him into contention. One of the most naturally talented players on the circuit, Smith has had a few issues with his health which haven’t helped him in 2019 and I think as such, it could be a struggle for him to reach the semifinals this year unless his issues clear up in time. The likeable Austrian has had an unlikely rise to the top of World Darts and he is not out of the reckoning in this year’s Championship. On his day Suljovic can beat anybody but he seems to struggle to turn his high scoring into winning legs. I think he is another who may find it tough to reach the semifinal stage at the end of phase 2. Last year Superchin Daryl Gurney became something of a draw specialist in this event but this year he has struggled for form and has just two wins to his name, He will need to improve that over the final three weeks of Phase 1 games in order to secure his place in Phase 2. I think he’ll do that but I can’t see the Irishman being a real threat to van Gerwen’s dominance of the event this year.